Hastings activities you can’t miss! 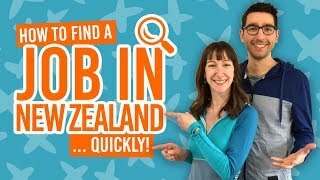 In the heart of the wine region of Hawke’s Bay surrounded by rolling green hills, fruit orchards, vineyards and coast, you’ll sure find lots of amazing things to do in Hastings. The charming town is home to activities for the foodies, outdoor enthusiasts, and those who can’t resist a good photo opportunity. Plus, getting to everything on your Hastings travel itinerary is half the fun with a huge cycle network, tour operators and walking trails. 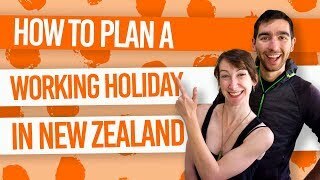 Whether you’re in Hastings to experience its history, art and culture, or working a fruit picking job on a working holiday, you’ll find it impossible to get bored in this sunny region of New Zealand. 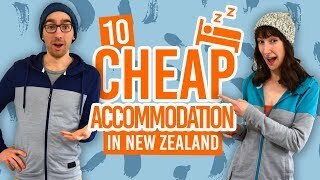 Plus, stay awhile in one of the awesome accommodation options, which you can find out more at our Accommodation Guide to Hastings and 8 Best Backpacker Hostels in Napier and Hastings. … On the mainland! Hastings is a short drive away from one of Hawke’s Bay’s most iconic natural attractions, Cape Kidnappers. Not only does it display sensational scenery through its dramatic coastline of white cliffs full of tectonic scars and fossils, it’s also home to a huge colony of majestic seabirds. Either walk to Cape Kidnappers from Clifton, a 5-6-hour walk achieved around low tide, or take a tractor tour with Gannet Beach Adventures also nearby Clifton. Discover more natural attractions in Hawke’s Bay here. Location: Start from Clifton, 19km from Hastings. Hawke’s Bay is New Zealand’s oldest wine region and largest producer of full-bodied red wines in the country. It would almost be a sin to not visit some of the wineries and vineyards while in Hastings! With 72 wineries in the region, your options are pretty much endless. Hop on a winery biking tour, shuttle bus tour with Vines and Views or Hawke’s Bay Scenic Tours, or self-guided tour from cellar door to cellar door tasting the country’s finest wines. Pick up a winery map from the local information centres. For a budget foodie experience, get yourself down to the Hawke’s Bay Farmers Market. The market is a classic Kiwi experience with markets just like this one happening all over the country every weekend. There are lots of free tastings on offer of local produce, as well as live music and other entertainment. The Hawke’s Bay Farmers’ Market is every Sunday between 8.30am and 12.30pm. Get some of the best views in the Hawke’s Bay region from the top of the 399m Te Mata Peak. In fact, the whole area is a park with both mountain biking and walking trails to embrace the enchanting countryside scenery and exotic forest. Either enjoy the great outdoors by walking to the top or drive to the top. Location: 12.4km from Hastings near Tuki Tuki. Location: All over Hawke’s Bay. Wetlands are the underrated landscape in New Zealand. They are hugely valuable to the ecosystem and harbour a wealth of diverse wildlife! In short, if you like bird watching or just want to experience an alternative landscape, then the Pekapeka Wetlands are ideal. The area covers 90ha making it the largest inland wetlands in Hawke’s Bay. Make use of the easy walking tracks with interpretation signs to learn a little something while you’re there! Location: 16.4km from Hastings. Take State Highway 2 south and turn off at Te Mahanga Road. Just next to Hastings is the city of Napier, known as the Art Deco Capital of New Zealand! No doubt during your time in Hastings you will hear about an earthquake that devastated the area in 1931. For this reason, the city of Napier was rebuilt in the fun popping style of Art Deco with photogenic architecture seen all over the city. It’s a great place to visit while in Hastings. Book your walking tour with the Art Deco Trust or a vintage car tour with Napier Classic Cars. Check out more things to do in Napier right here. With a sunny climate and stunning coastline, Hastings is blessed with a wealth of beaches. Take your pick from our 9 Beautiful Beaches in Hawke’s Bay for a great day out.